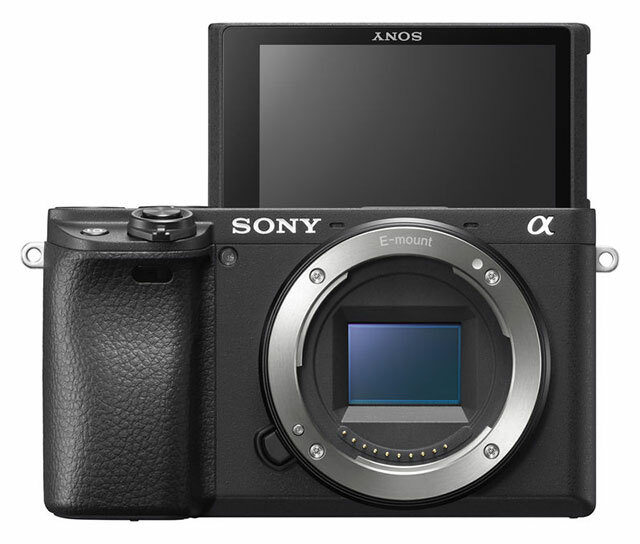 SAN DIEGO — Jan. 15, 2019 — Sony Electronics Inc. today introduced an exciting new addition to its E-mount mirrorless camera lineup – the a6400 (model ILCE-6400). 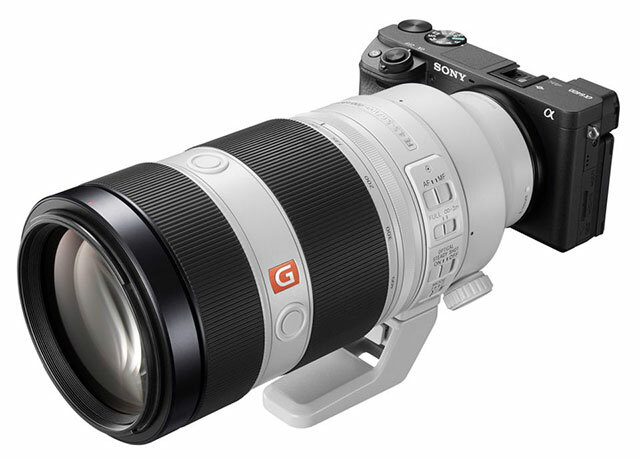 Sony α6400 ($898 Body only) brings many of Sony’s most advanced technologies from their acclaimed full-frame lineup to a compact, lightweight APS-C camera. The speedy new camera boasts the world’s fastesti autofocus (AF) acquisition of 0.02 secondsii, while also introducing the new advanced “Real-time Eye AF” and ”Real-time Tracking” capabilities. Also included are high-speed shooting at up to 11 fpsiv with AF/AE tracking, a new-generation BIONZ X image processing engine that produces excellent image quality, 4Kvi video recording, a fully 180-degree tiltable LCD touch screen and much more, making it the ultimate tool for all types of creators ranging from professionals to vloggers. The impressive autofocus system on the new α6400 inherits many technologies from Sony’s newest line-up of full-frame cameras including the a9, a7R III and a7 III models. The new a6400 features 425 phase-detection AF points and 425 contrast-detection AF points that are placed densely over the entire image area, covering approximately 84% of the image area. This high-speed, high-performance tracking AF system is paired with a new-generation BIONZ X image processing engine that together allow the camera to acquire focus in as little as 0.02 secondsii and maintain subject lock extremely effectively, ensuring even the fastest moving subjects can be tracked and captured with ease. The a6400 introduces advanced “Real-time Eye AF,” the latest version of Sony’s acclaimed Eye AF technology. This exciting new capability employs artificial intelligence based object recognition to detect and process eye data in real time, resulting in improved accuracy, speed and tracking performance of Eye AF. In all autofocus modes, the camera now automatically detects the eyes of the subject and activates Eye AF with a half press of the shutter button, and when in AF-C or AF-A mode, the preferred eye (left or right) of your subject can be selected as the focus point. Choices include Auto / Right Eye / Left Eye, and a Switch Right / Left Eye function is able to be assigned to a custom function as well. This exciting new technology completely frees the photographer to focus solely on composition with full trust that focus will be tack sharp on the subject’s eye. Eye AF support for animals will be added in summer 2019 via a system software update, ideal for wildlife photographers. Sony’s new a6400 is equipped with a 24.2 MPiii APS-C sized image sensor with that is paired with an upgraded BIONZ X processor to deliver incredible advancements in image quality and color reproduction in all types of shooting conditions. Standard ISO ranges up to ISO 32000 for both still and movie, and is expandable up to ISO 102400 for still images, with excellent noise reduction at medium and high sensitivities. The a6400 will ship in February 2019 for a suggested retail price of $900 USD and $1,250 CAD. It will also be offered as a kit with the 16-50mm F3.5 – 5.6 lens for a suggested retail price of $1,000 USD and $1,350 CAD, or in a kit with the 18-135mm F3.5 – 5.6 lens for a suggested retail price of $1,300 USD and $1,750 CAD. The camera and kits will be sold at a variety of Sony authorized dealers throughout North America. The upcoming firmware version 5.0 for a9 adds Sony’s newly developed Real-time Tracking mode for object tracking. This mode utilizes Sony’s latest algorithm—including Artificial Intelligence-based object recognition—and processes color, subject distance (depth), pattern (brightness) as well as spatial (distance) information to ensure that all subjects can be captured with extreme accuracy and precision. When photographing or videographing humans or animals, face and eye position information is recognized by AI and the subject’s eye is monitored in real time with extremely high tracking precision. In addition, “Tracking On” helps initiate real-time tracking at any time by simply pressing a custom-assigned button and “Touch Tracking,” which quickly activates through the touch screenii. With this new firmware version 5.0, Sony’s acclaimed a9 camera will receive advanced “Real-time Eye AF,” the latest version of Sony’s acclaimed Eye AF technology. This exciting new capability employs AI-based object recognition to detect and process eye location data in real time, resulting in improved accuracy, speed and tracking performance of Eye AF. In all autofocus modes, the camera can automatically detect the eyes of the subject and activate Eye AF with a half press of the shutter button, and the camera will seamlessly track the eyes at all times when in AF-C mode. The new firmware will also enable photographers to select the preferred eye (left or right) of their subject as the focus point. Image quality will also be enhanced with the new a9 firmware version 5.0, specifically in the areas of color reproduction. The camera will more accurately account for subtle changes in light for smoother, more natural tonal gradations in elements like the sky. There is a new auto white balance algorithm that gets added as well, which produces more consistently balanced images while burst shooting. Other new functions for efficient controls and data management include My Dial and Dual Slot media menu improvement, rating and protect functions. In addition to the several new capabilities, the firmware also adds compatibility with Sony’s new Imaging Edge Mobile application – the successor to the PlayMemories Mobile™ application. The new Imaging Edge Mobile application features a ‘Transfer & Tagging add-on’ function to assist professional workflow. This allows photographers to transfer images from their camera to their smartphone during capture using the FTP transfer functionality,and adds support for including IPTC metadata on transferred images. I watched that announcement live and I must say, Sony appears to be on the ‘bleeding’ edge of both pro and consumer digital imaging technology. I can not wait to get the new firmware in my a7’s and see it work. please a crop mode (4/3 and square)… much better to frame on the desire final ratio.. I love how Sony did these firmware updates that significantly improve the functionality of existing cameras. Will real time tracking come to the a7riii? 1. Allow user programmable frame per second settings for L M H and Hs like Nikon has. 2. Allow different Custom Buttons settings to be saved along with each Memory Settings. 4. Get rid of Auto Focus Area Selection sleep timer, or match the LCD/EVF/Camera display sleep timer. I leave my Display/Camera sleep to 5min but if I try to select AF area say 2 mins being idle it would not move but the display is still on making me think something is wrong when in fact all it needed was to half press the shutter button to wake up. 5. Match the RAW/JPEG SD Card Slot Save selection menu to the A7RIII/A7III. It is possible that in the future there will also be an firmware update to the a6500 with some of the improvements described here? I could be wrong, but I sincerely doubt this will be the last camera Sony ever releases. Hi Brian, thanks for this information. Do you think that Sony’s going to release an update for the 7R2, with some of these AF improvements ? I’m not certain the single processor would support it. Can A6400 limit the AF area options in the side menu? I read that the new firmware of A9 has a feature called AF Area Limit, which only makes the chosen AF areas showed in the side menu. Don’t know if A6400 can do this? Have you heard any updates on the release of these upgrades? I should have been more specific. FW updates for the A7iii and A7Riii. The next updates for a7 III & a7R III will be out by the END of April.